As I stated in my last post, I went to Ta'if for a half-day. I left my home after the Dhuhr prayer, reaching Ta'if just after Asr'. I had a simple agenda. The first task was to visit my bank and send money back to India; after this, I had an open agenda to spend the evening. I had hoped to fix my car, but realised that time would be wanting; hence, I just visited a grocery store to buy several items to take back home; a bufiya (a fast-food joint) to have tea and some snacks; the mosque to perform the Asr' prayers; and, finally, Ta'if's Heart Mall to purchase some food from McDonald's to carry back to my place as well as to do some window shopping. I completed all these tasks by half past seven, and so, left Ta'if to return to Al Muwayh. Both, while going to, and returning from, Ta'if, I used my car's media system to watch two old Hindi movies - Aar Paar and C.I.D. Naturally, I had to watch them in bits, as I had to keep my eyes (and my mind) on the road, but I daresay many of my readers will think I did something unacceptable! Hence, before you say "WTF", let me submit that yes, it was wrong for me to have done so, and I was putting myself at peril. But it was really enjoyable to listen to the fantastic bouquet of songs from both these movies ... and while Waheeda Rehman was scintillating in C.I.D., Guru Dutt was thoroughly enjoyable in Aar Paar. Coming now to what happened on the next few days. Sunday was uneventful, but today, i.e. on Monday, I gave an educational talk on "Effective Communication" in our hospital's conference room. Interspersing my talk with anecdotes, and embellishing my presentation with some cartoons helped my listeners to stay awake through the necessarily brief talk of just over 22 minutes. I caught up with my online studies today evening, and, after writing this, I plan to prepare a small bag for my 2-days' duty at Zalm starting tomorrow. Yes, Zalm beckons again. So, as my colleague has completed over six weeks there last month, it is my turn to go. As I write this on the morning of Saturday, I wish to inform my readers that this was my off-call week, and so I am rested and free from any kind of tensions. My colleague is on-call, but also pretty much rested as there is a lull in the flow of patients over the weekend. Remember, the next week culminates in Hajj. Hence, people of Al Muwayh have moved out of the village and are currently either in Makkah to perform Hajj, or have gone to their relatives' places in other parts of the Kingdom. On Thursday night as well as yesterday night, I played games of tennis with Dr. Essam, our medical specialist, in a make-shift tennis court just aside the garden. For making a net, we used a light pole and a rubbish can to anchor a clothesline; we covered the line with a large bed-sheet and used clothes-pegs to keep the sheet from flying away. There are no focus lamps, so we usually play wherever the illumination is better. The entire Egyptian community comes to the garden on all weekends, and I have, by now, made friends with most of their children. I guess that is what makes me return to the garden each weekend. 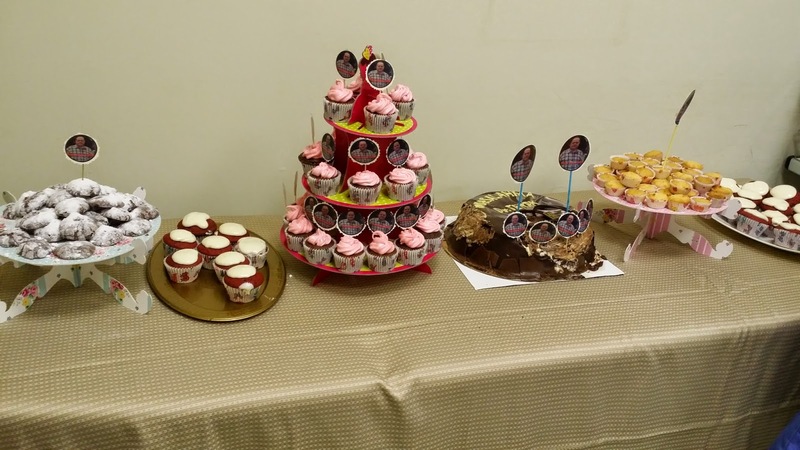 On Thursday night, Dr. Ahmed Ouf's daughter Rahmaa celebrated her birthday, and I got sweets and cake from there. Yesterday night, it was no one's birthday, but we still got some food from the ladies' enclave ... the place in the dark where the wives of the Egyptian doctors chat in a circle. The tennis was quite good, and I was a bit tired after the game, as the ball keeps going away from the place of play, and I had to run around to retrieve it. The running doesn't tire as much as the bending your back each time to pick up the ball from the ground! After writing this, I plan to go to Taif to spend an evening at the mall and perhaps meet a few guys here and there. The Yemeni guy who had purchased my old car about a fortnight ago had second thoughts on this car; the legal office that was supposed to hand over the car to him had some problem receiving the all-clear status on my car as I had not cancelled the complaint regarding unknown persons robbing my car - this had to be done formally, and I was unaware of the system. Anyways, I approached my local police last week before going to Jeddah for my clinical MRCPCH course, and they made the necessary papers, but this had not reached the status of an official cancellation in the police's computerised system for over 10 days after the paper was made by my local police ... and until this was done, the legal office had NOT RELEASED MY CAR or transferred its ownership to the Yemeni fellow ... and he therefore lost interest in the car. He came to me in Al Muwayh on Monday the 22nd, and gave me the story. He said the legal guy wanted me to go to Jeddah and hand over the money back to the Yemeni and then re-possess my car! Thus, I left for Jeddah in the Yemeni's car on Monday at about 2 p.m. We reached the legal office (maarad) at around 6 p.m. We met the legal guy, an Egyptian fellow called Atef. I paid the SR 3000 back to the Yemeni, and the officer promptly handed over the car key to me and gave me permission to take away my car. There would be some delay in getting back my vehicle registration card, he said, and it would be given to me the next morning. I was thus forced to stay back in Jeddah, without any toiletries or other stuff. The funny thing is that when the Yemeni guy came to fetch me in Al Muwayh, he told me that we would go to the maarad, I would hand him the money, get back my car, and then he would re-buy it from me through another maarad. He seemed interested in the car at the price he had paid me. The maarad guy wanted him to pay for "expenses" - an euphemism for extortion from him. The amount the officer quoted was SR 800! This would be a huge cut in the Yemeni's possible profit from the deal. So, he hung around me for some time, then he went a little further, ostensibly on the phone, and then, made an unceremonious, unannounced exit from the scene, without giving me back my money. The result: I now had back my car, he had back his money, and none of us would probably ever meet again. I contacted the taxi-driver I had met last time, and stayed at his place overnight. The next day, we went to Maarad, but Atef told me the required card would not be ready that day, and so I requested him to hand over the card to the taxi driver Tanveer Ahmed/Malik. Next, we went to the old cars compound ("tashliya") to get an used compressor for my old car's A/C, and a few spare parts for my Hyundai Accent car (I needed a seat belt clamp and a front dashboard box, both of which are broken in my car). We then went to an A/C mechanic and fitted my old car with the A/C, filled it with gas etc. and then went to a mechanic to fix a few small things in the car. We finished both jobs by 8:00 p.m., after which I took leave of Tanveer (having paid him a huge amount for his service) and began my return journey. I reached Al Muwayh in the late hours of the night - at half past two. P.S. We went for lunch to a new place called Zamzam restaurant - which served an excellent plate of Kadai Mutton with rotis. I should review this place some time. The service was a bit slow as there were too many costumers, but the food was piping hot and very nice. Brian, a business administrator, run Blogengage, a website for bloggers. Recently, he has started a contest in which we need to blog about his website, and about the specifics of the contest, which you can find here. I am blogging about this as such blogging increases my chances to win! Hi dear reader. I know many of you could not access Dayre, the application on which I blogged from June for three months, i.e. until August end. Hence, this post is a sort of summary of the things I did/experienced during these three months. Dr. Afzal did six weeks in Zalm, and only returned after that. He was really bored there, as Zalm is an even smaller village than Al Muwayh, and if you search my blog, you will find that I have done several substitution duties there in 2012 and early 2013. In any case, it is only after Dr. Afzal returned that I was able to go to Jeddah to give my DHA exams, about which I have written in an earlier entry this month. In Jeddah, I sold off my old Toyota Corolla, and bought a 2010 Blue Hyundai Accent. The three days I spent in Jeddah were quite unique, in that I had the company of a Pakistani taxi driver Tanveer Malik; the latter stayed with me for 1 1/2 days, taking me to the exam center and back to my hotel, driving me with my car to the car market. After this, I had to again go to Jeddah to join the MRCPCH Clinical Training course at the King Abdul Aziz University Hospital from the 11th to the 14th of September 2014. This time, I drove in my "new" car, and the experience of driving in a properly air-conditioned car was really enjoyable. 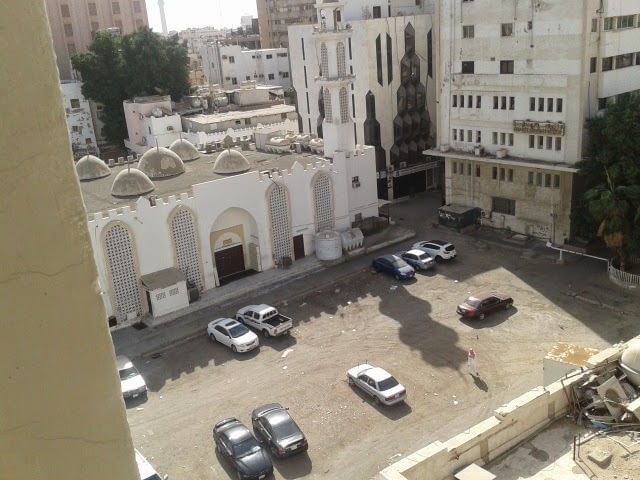 I stayed in a small hotel (Hotel Imtiaz) in the Al Naseem area of Jeddah which abuts the way to the university hospital, and is also close to the Bani Malik area of Jeddah. This hotel gave me a single room for just SR 100 per night, and I was therefore able to save some cash! 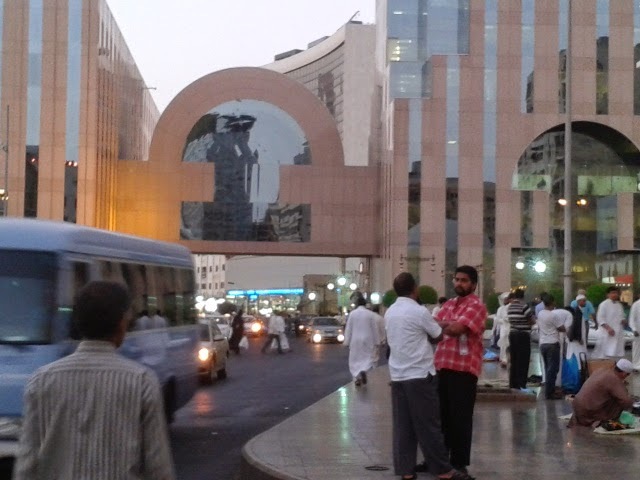 However, I did a lot of shopping at a nearby mall (Danube) on the King Abdullah Road. Danube Mall is fantastic! The range of items available here is phenomenal. In addition to the hundreds of varieties available here, they also have a lot of imported stuff such as organic foods, chocolates, teas, coffees, biscuits, snacks, chips, etc. etc. These items are specially highlighted as "Imported" items on the shelves, and their prices are more than the other items sold by the side. I should also describe one more thing: during the six weeks that Dr. Afzal was in Zalm, the nurses in Al Muwayh organised a string of parties for one event or the other; they organised a send-off party for Dr. Tariq, our Syrian general Surgeon who has now been transferred to Taif and been promoted as a Thoracic surgeon. Then, there was a huge birthday party for one of the nurses, Virginita Camaro, who turned 54 on 1st July. 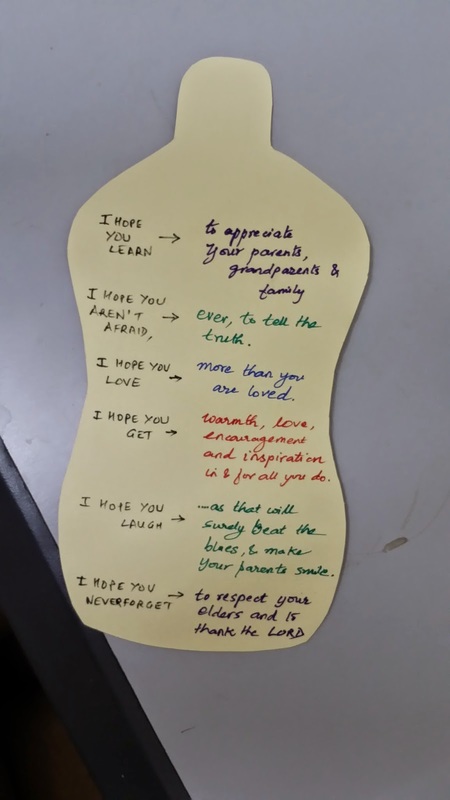 This was a very well-organised function, and I did participate in the party by sending her a gift, and by being sent food in a special plate to eat in the hospital. The third was a baby shower for sister ____ who is expecting a baby in November. 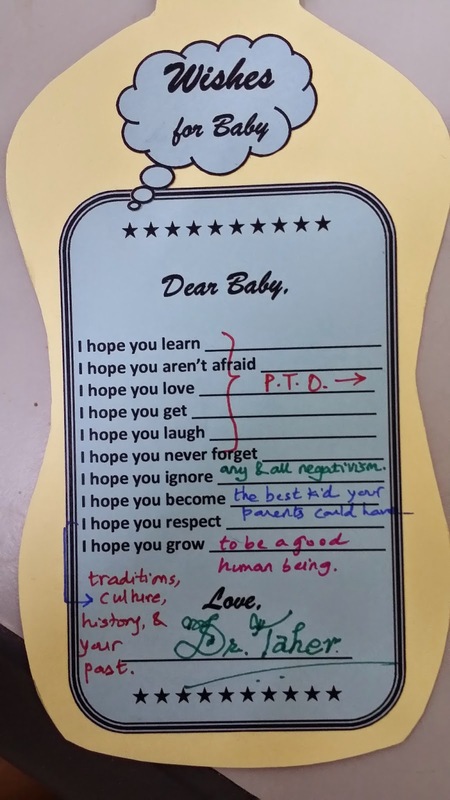 This unique party was preceded by all the invitees being given a blank card with lines to fill in as "advice for the baby". There was stuff like "Don't forget ....", "Always love ..." etc. I filled my card with a lot of nice lines for the baby. 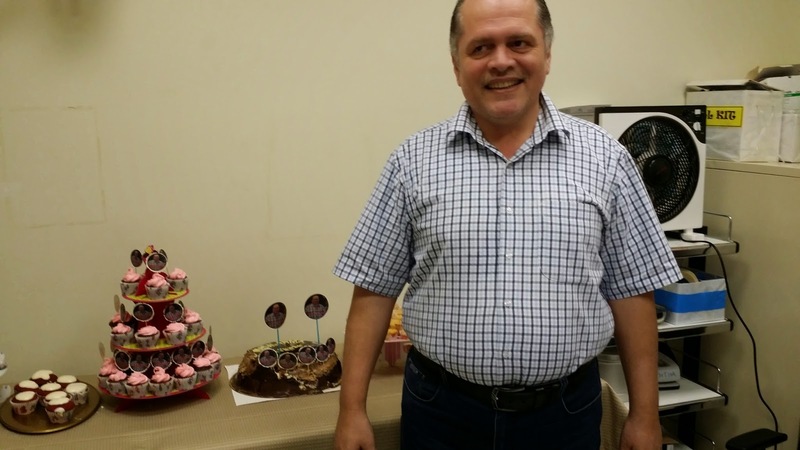 The fourth party was a joint birthday party organised for four nurses who had birthdays in August, among them my good friends Sisters Maui Rogelio and Jocia Villaveurte (I know, simple last names, na?!!). Although I was not directly invited, they did send me food the next morning. Apparently, this was a very funky party as well if eye-witnesses are to be believed. 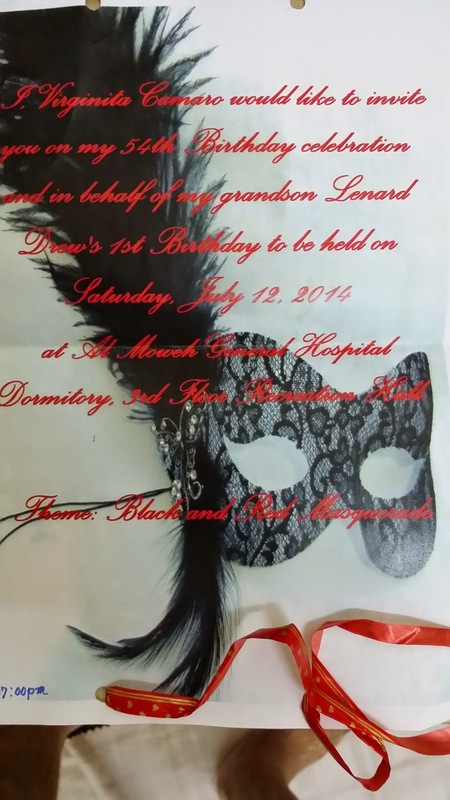 Yet another party was held to give a warm send off to the girls who work in the hospital in a subordinate capacity. These girls have apparently completed their tenure, but they have been asked to continue till replacement is available. There are 13 of them, and they are all my good friends, esp. sister Kathy, Sandy, Maze, Estella and Armalyn. Once again, I participated vicariously - food was sent for me in the hospital! In addition to this string of parties, there were a few other things that took place ... but of these, in my next post. Thank you for reading. In spite of the complexity of the roads and the dense evening traffic, Jeddah is easy to navigate once you get the ropes of the Google Maps Navigation apps on your Android phone, as the roads are parallel to each other like in most developed cities of the world. The confusion arises as most roads in most cities of Saudi Arabia are named after the several members of Royalty from King Abdul Aziz Ibn Saud down to the present monarch King Abdullah and his several brothers, off-spring etc. In most of the cases, the road that is the most important is named after King Abdullah, since the history of modernisation of Saudi Arabia is less than 50 years old. The second thing I noticed was that both, in Jeddah, and in Riyadh, the main roads run on and on for several kilometers, unlike what we see in Mumbai or in most other cities in India. Thus, for example, Prince Majid street runs for over 15 km, traversing many different districts before running into or joining another main road. Also, many roads are known by numerals as well as names of royalty. E.g. the afore mentioned Prince Majid Street is also known as Shaara Sabaaein or Street 70. Jeddah has Street 60, 50, 40 ... etc parallel to street 70. This same nomenclature I saw in Taif and in Riyadh as well. Jeddah has hundreds of eateries serving food of all the different nationalities that populate it. I can mention that there are many restaurants from the basic to the luxury level that serve Indian-Pakistani-Bangladesh food, and similarly, Lebanese, Indonesian, Pinoy, Turkish, Afghanistani (Bukhari), Egyptian, Chinese, and even Continental food. I have eaten at a Chinese restaurant once, with my cousin Juzer Kagalwala and his family way back in early 2012; I have also tried most of the others, except the Continental, the Indonesian and the Egyptian restaurants in Jeddah, although I have eaten Egyptian green bhajias (what these guys call Tamia) in Taif. There are great Pakistani/North Indian restaurants in Bani Malik, Ash Sharafiya and Street 70 areas of Jeddah. To look for South Indian foods, you have to dig deeper, but there are several places where you can eat near-authentic dosa, idlis, medu-vada, and south-Indian variations of Fish masala, Avial, etc. From among the Pakistani restaurants, I would recommend Mehraan and Kababish on Street 70, and Nirula in Bani Malik for reasonably priced, tasty food. Coming now to the expatriates. 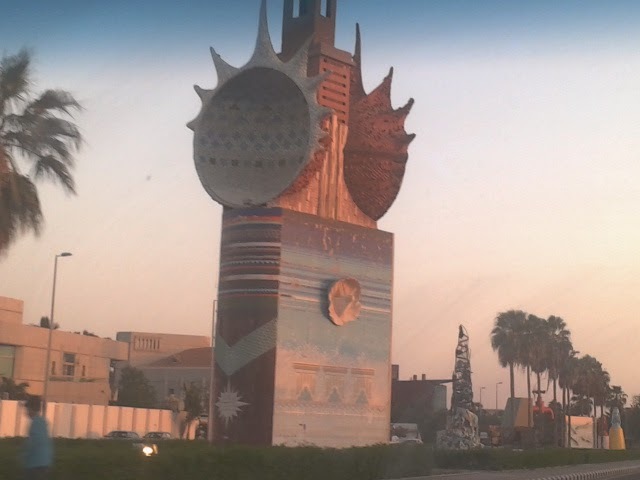 As mentioned above, the city of Jeddah has expats from several countries, and each of them have coloured and adorned the city with their own, unique signature. This is not to say that expats have all been helpful to the Kingdom. 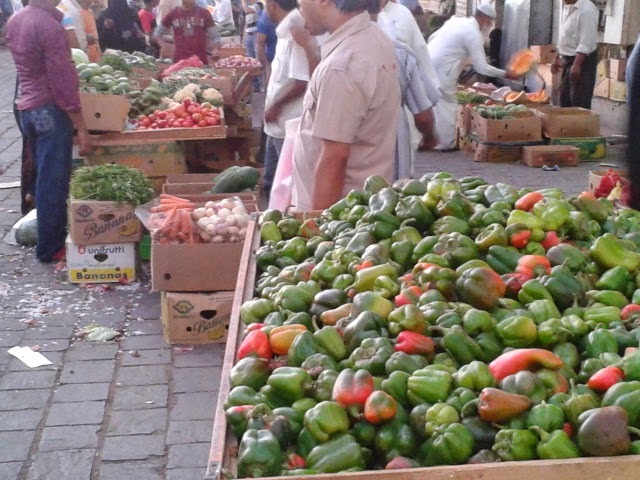 Of course, there are rotten apples in all the world, and Jeddah is no different. Prostitution, Drugs, Alcohol, Robberies, and even Murder are all present in this old city. No particular nationalities can be blamed for this, but from what I hear, the worst ones are the men from Ethiopia, Nigeria, Sudan, and a few other nations. Prostitutes include the poorest of the poor women who live in the Kingdom, and I have often heard that they even include Saudi women, working either alone or in the company of other expats such as Syrians, Pinoys or Indonesians. Crime levels in the Industrial Port area are highest, as those who are settled here are the oldest inhabitants of modern Jeddah, and this area is also the least well-policed. Barring these aberrant people, though, the vast majority of expats have infused freshness and variety to the boring monochrome-culture of the Kingdom. They do live as second class citizens, of course, but this is not unique to Jeddah. It is a malady that affects expats all over the Kingdom. This, however, does not include white-skinned people from the Americas, Australia or Europe, as Saudis are in awe of white skin just as much as all Asians, Indians included. These Caucasians bring to the Kingdom its silver lining. It is their presence that makes malls stock things that Saudis would probably never buy, such as organic foods, special herbs for healing, European and American brands of toiletry, lingerie, cosmetics, apparel, shoes, foods, etc. etc. all thrive here. Let me end this entry with a few personal thoughts. I guess one can really like Jeddah, once one overcomes the cultural differences between a free city like Mumbai and one that is tightly administered with respect to religious and social sanctions. And, believe me, once you begin to like it, you and your family will enjoy their stay in this city. In my previous post, I began writing on this beautiful western city on the coast of the Red Sea. 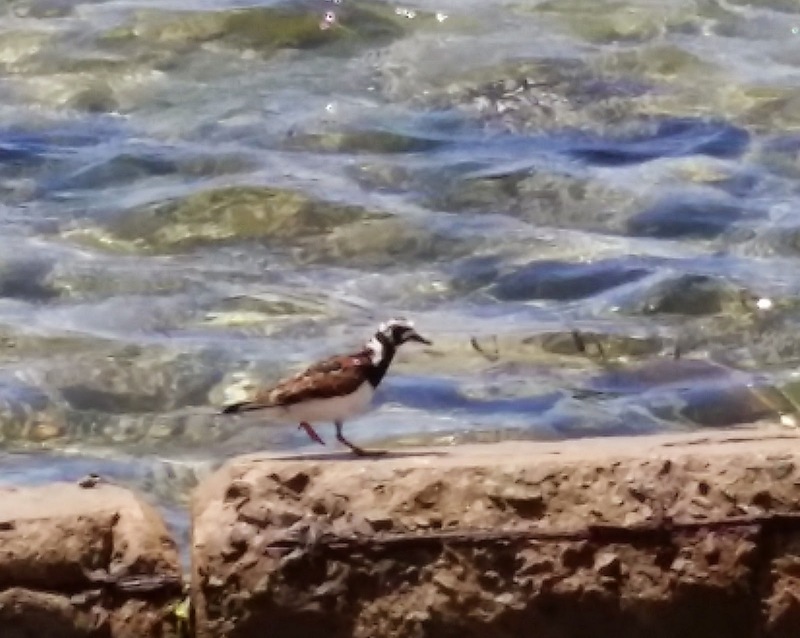 In this instalment, I will give you glimpses of some of its beauty. As I iterated in my first post, Jeddah has cityscapes on a large scale. Not for this city the narrow crowded bylanes of Mumbai; here, every street is built on a grand scale. Most streets (barring streets in old Jeddah and inside residential areas) are at least 8-10 lanes in width, with broad footpaths (side-walks to the American). There are bridges and under-passes, service roads on the side, and so on, in addition to the main thoroughfare. During most visits, in spite of using Google Maps and Navigation, I end up getting on to the wrong ramp, or driving past a turn or missing a U-turn and having to drive an extra 5-10 kms to get back to where I wished to go. This, in itself, can be seen as an unwarranted but equally enjoyable exploration of a great city. Jeddah is the second largest city in Saudi Arabia and the fourth largest in the entire Middle East. It is enviably located, as all ME cities are less than 2 hours away by flight. 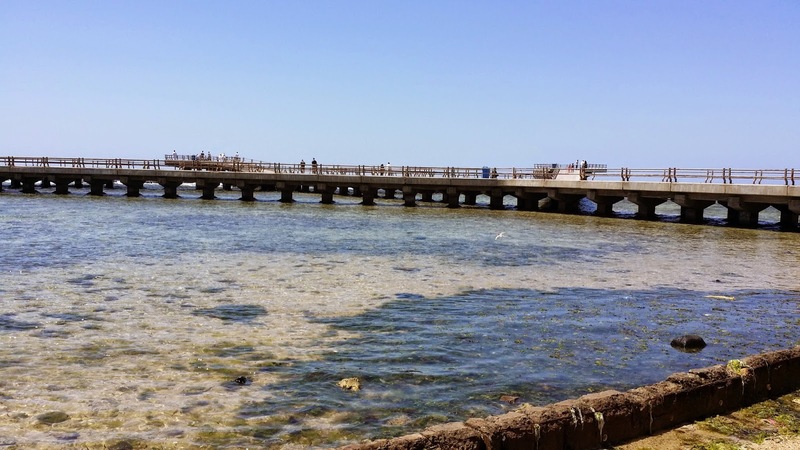 Being a commercial hub, Jeddah has drawn in people from many other countries of the world in the last nearly 100 years of its modern existence, but the history of Jeddah goes back to nearly the Stone Age. Subsequently, it has been colonised by several kings and dynasties, including the Yemeni Kings, Ottoman Empire, etc. These are just some examples. 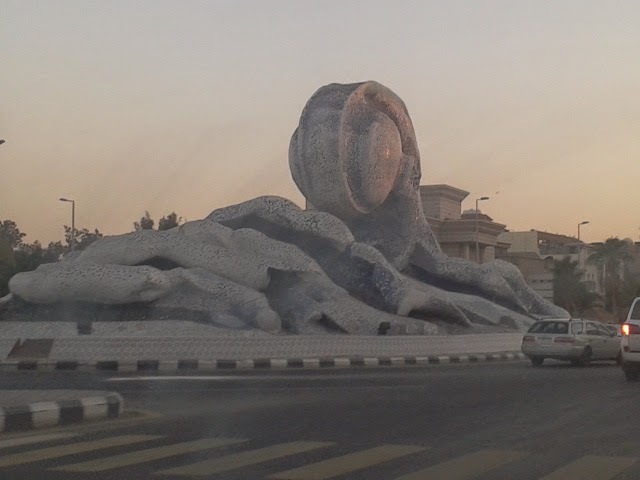 Most roundabouts in Jeddah are adorned with similar, or even more bizarre sculptures, some over 80-90 years old and done by internationally famous sculptos including but not limited to Richard Moore. This post is a special one as I attempt to describe this amazing city to my readers. My first visit to Jeddah was within a few days of my arrival in the Kingdom nearly 35 months ago. I went there to meet and stay with my cousin Juzer, who is here since 20+ years (as I write this today). His wife Maimuna and his son Abi Talib joined him and making me feel at home as they escorted me to Makkah to perform my first Umrah (read about it here). 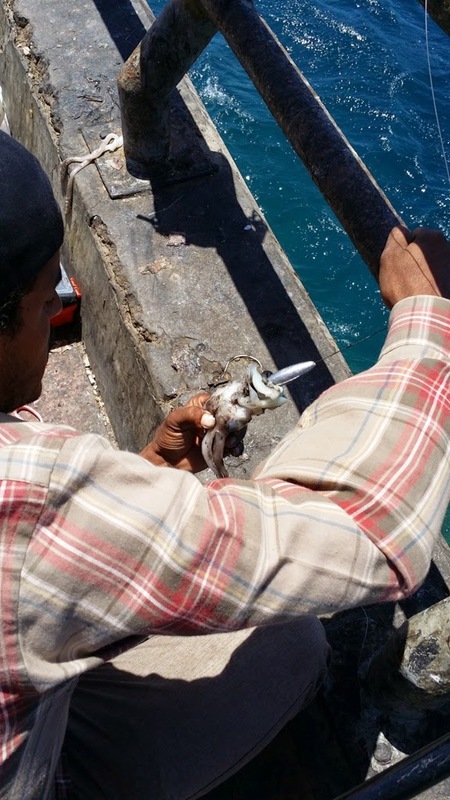 I stayed with them for three nights, and during the day, I went out on my own to see the coastline on the Red Sea. My first impressions of Jeddah were that it was a really big city, perhaps as big as Mumbai, and similar to Mumbai in many ways, as, like my own Mumbai, it, too, is vertically aligned, stretching out vertically for more than 75 km with the airport at the northern end; it, too, has a humid, warm climate; it, too, is a happening city of its country; it, too, has sea on its western coast, and, like Mumbai, offers a lot of sporting activities for the sea-loving person; it, too, has several malls, eating joints, fast-food chains, etc. and so on. However, while there are resemblances, there are several differences too. 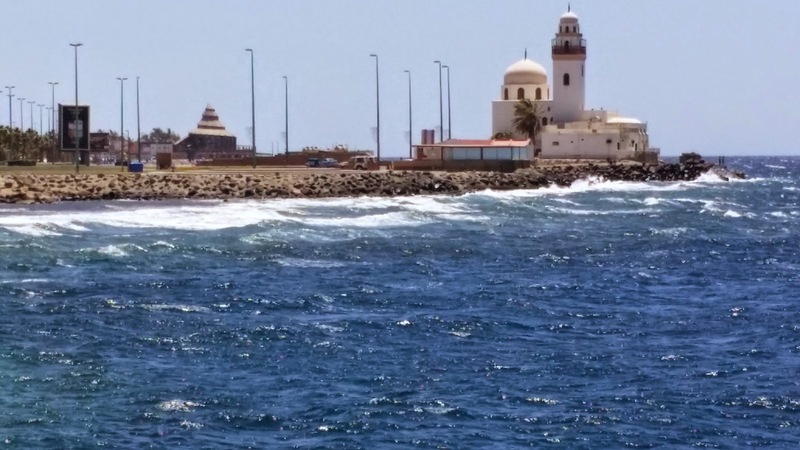 Being part of a closed-culture country, Jeddah lacks the vibrancy that Mumbai (or, for that matter, any other mega-city in India or any of the other developed countries of the world) offers. You won't see colourful women on the streets, just the ubiquitous black burkha (known as the abaya in the Arabian world) - I can never forget the sea of black in the Food Court at the Red Sea Mall during a visit to this huge, huge mall that I made in 2013. 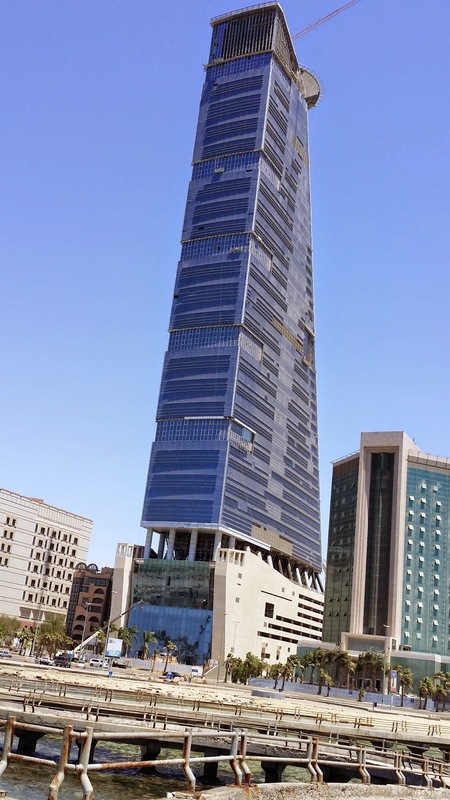 What Jeddah gains over Mumbai, however, is its grand scale. The roads are really wide and well-planned. Most roads have service roads and are highways by nature. Speeds of cars may go well above 100 kmph in the mornings, though, in the evenings, the traffic comes to a crawl, and may even get jammed on weekends. What you see is all kinds of cars ... the most expensive cars are not a rarity in Jeddah. I have seen Lamborghinis, the most luxurious Mercs, Subarus, Audis, stretch limos, and what not. People here are rich, and I mean, really rich. Next, I must mention that each visit of mine has led me to different areas of Jeddah, and each time, I have stayed in new places. 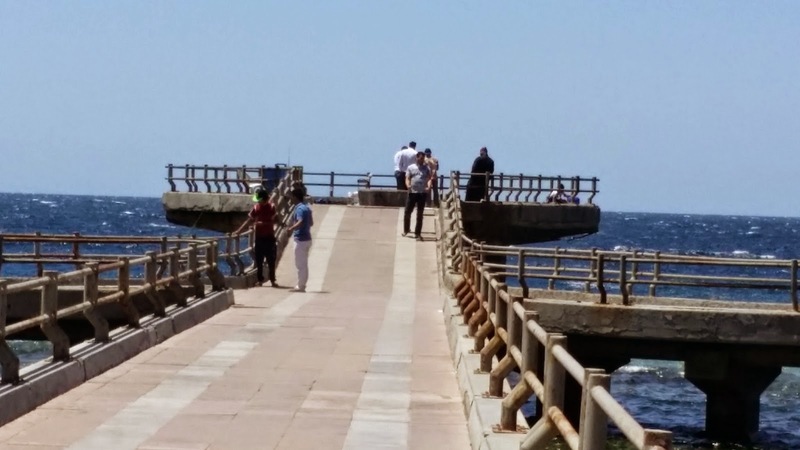 This may seem to be paradoxical to my usual way of touring, where I go back to the same old hotel each time (such as at Taif), but the fun is of discovering more and more places in Jeddah. Thus, so far, I have stayed in over half a dozen different places. The best is difficult to define, since most hotels offer the same fare, but the best in terms of location and convenience, for me, was the Imtiaaz Hotel at Al Naseem street - where I stayed last week when I had gone to attend my MRCPCH Clinical Training course. It lacked luxury, as it was their worst located room, but it had all the usual comforts, and I can't complain since it was offered to me at half their usual rates of SR 200 - i.e. at SR 100 per night. 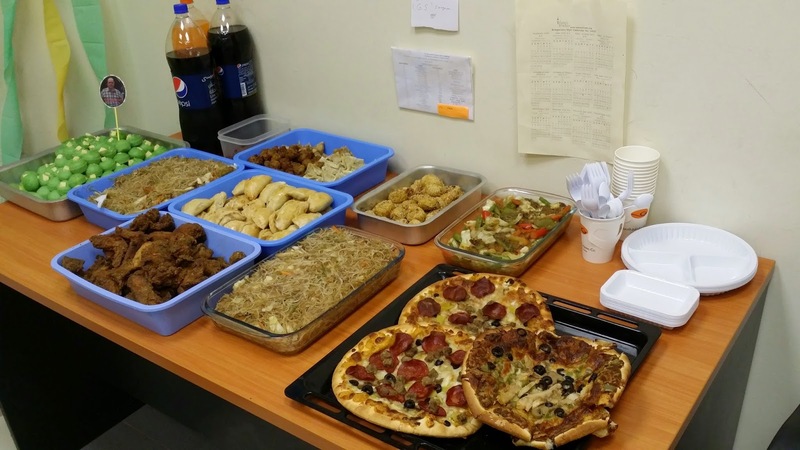 There were plenty of nearby food joints, it was just 5-8 minutes away from my course venue at the King Abdul Aziz University Hospital, and all the amenities were functional. The most luxurious was the place I stayed in about 3 weeks ago, when I went to Jeddah for my DHA exams. This was the Deyouf al-Wattan hotel in Al Rawdah. The rate was SR 200 per night, and the room had a lovely, well-equipped kitchen (which, however, being alone, I never used), plus all the usual fare in a well-appointed studio. Which takes me back to my visit with Dr. Narendra in 2012. We went by SAPTCO bus, and stayed in a place that was just minutes away from the bus stand. This was the Hotel Janoob, and while the room was compact and had no amenities except for the AC and the fan, the convenience of this place was its proximity to several malls in the Corniche area. It was a pleasure to navigate the various malls and do a lot of window-shopping that time. 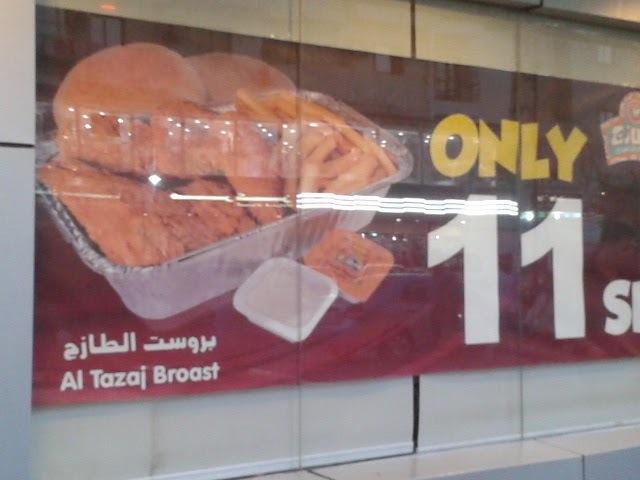 The prices of this chicken have hardly increased over the last nearly 3 years ... now it is SR 12 per plate. 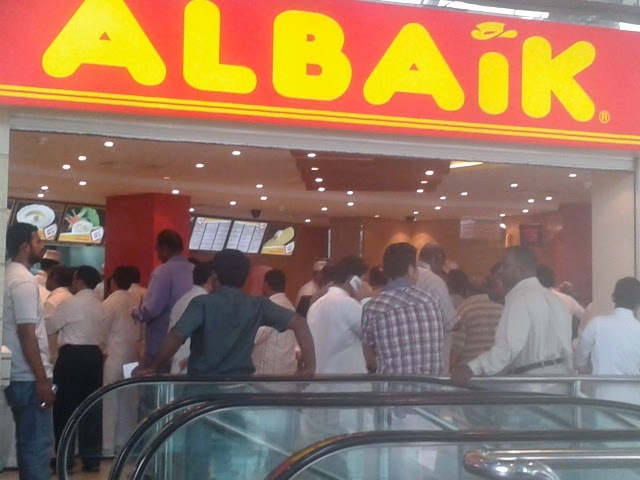 The most popular fast-food chain in KSA where you sometimes need to wait for an hour to have your parcel handed over to you. 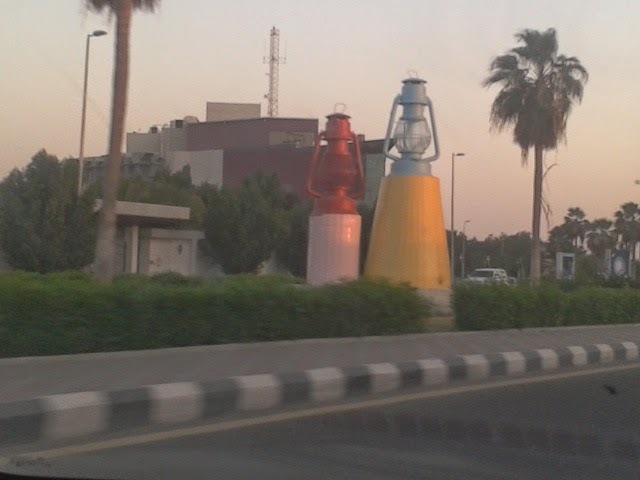 Let me end here, and I will describe a bit more about the landscapes and street furniture of Jeddah in my next post. So, my readers already know that I was enrolled into the Dayre program of mobile blogging in the last week of May 2014. 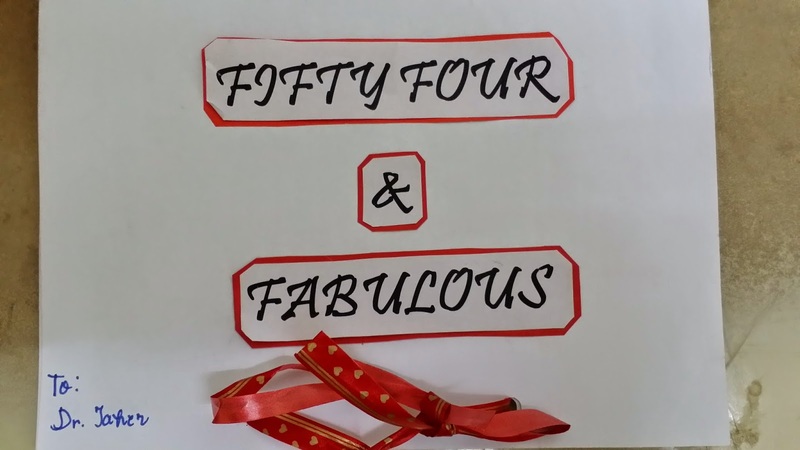 I announced thereafter my intention to shift to blogging with Dayre from the 1st of June. The initial duration of the program was to be three months. The owners of the program would, at the end of three months, evaluate your blogs, see how many people followed you, commented on your blogs, etc. and then decide whether to pay you a scholarship amount which would range from anywhere in between 300-30000 dollars to encourage you to continue blogging in the manner you were already doing in the first three months. 1. I embraced the new method of blogging with a little less than full enthusiasm as I am not too used to a lot of typing on the mobile phone. Even so, it helped that this app allows you to add your contents in bits and pieces, and joins them into a single day-wise entry. You can upload pictures, short videos, add your location, or spice up your entries with stickers --- cartoon characters depicting different aspects of life, moods, etc. 2. I blogged almost every day during the first month, then every few days, and later, as the 3-month period came to a close, irregularly. The main reasons for my declining enthusiasm were - a) my friends, whom I exhorted so many times to download the app and to follow me and comment on my entries were too busy or indifferent and did not do so; some, who wanted to help, did not have compatible smart phones to download the app on their phones; and some, who did download my app, could not find the time to check my posts and comment on them each time. b) There were many in the Dayre community who were already being followed by and commented upon by hundreds of people, and I felt it would be useless to compete with them - partly, this is because the app and the main bloggers are from Singapore, an extremely mobile savvy country, where individuals are, forever, blogging on the go; and partly, because most popular bloggers are young, and blog mischievously, something that I cannot do, as not only am I not a young person, but also, my subject matter is not all that attractive to youth, who would be my target audience. 3. The limitations of this platform are too confiding: a) the blogger MUST use his mobile phone to blog; he cannot do so from the laptop and b) the follower or commenter can only do both if he has an account with Dayre, and to have such an account, they HAVE to download the app on their smartphones. Once they have registered, they MAY read and follow your blog on the laptop, however. These two limitations were like a double-blow for me as I did not enjoy typing on my mobile phone and many of my friends do NOT have a smart phone and hence could not download the app or create an account with Dayre. 4. The only benefits I got were - a) It was an unique experience, and it was fun, in a way, to use the mobile and to blog in bits and pieces during the course of a day without using "edit" tools b) I made a few new friends on the platform by following some interesting blogs and c) they shipped me a brand new custom-designed Dayre smart phone ... which I used from time to time, but it was not a very sturdy or useful device, and so, lies unused as of now. I believe my friend Dr. Shabbir Baldiwala is also blogging on Dayre ... if you are reading this, do let me know about your experience with this platform. It's been a drowsy three months. I was blogging on the Dayre platform since the first of June, and when their experimental period ended on the 31st of August, I sort of wondered whether that was a better platform to work on, or whether I should return to Blogger. Blogger won, obviously, since here I am, ready to write here. So, what happened during these three months? Nothing earth-shaking, but a lot of smaller things. Between the 13th of June and the 29th, I spent two weeks in India. During these 18 days, I was in Bangalore for 5 days, attending a training course for MRCPCH Final exam, which I was hoping to give in India in September. The remaining 10-odd days that I spent with my family in India were memorable as always. After this, I returned to Al Muwayh. The locum doctor who was working in my hospital during my absence was the Pediatrician from Zalm, one Dr. Hamza, an Egyptian guy. He stayed on for nine more days, and then, after he left, I was all by myself without a relief/holiday for about one more month. Then, during Ramadan, a new Pediatrician joined me in Al Muwayh. He was Dr. Mohd Afzal Khan from Kashmir India. A few years older than me, Dr. Afzal came as a harbinger of my luck turning. He came to live with me in my house. 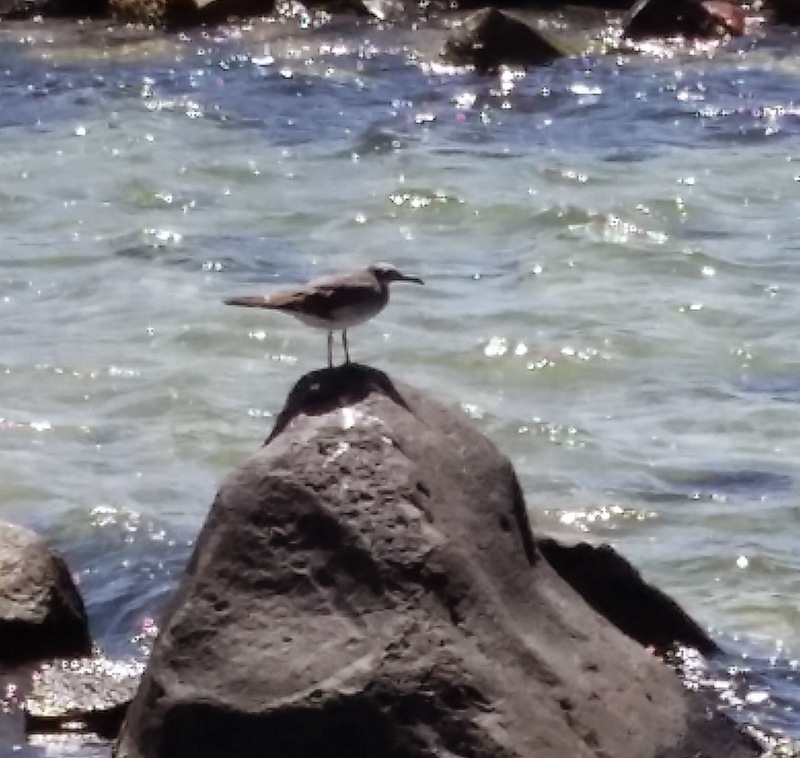 I found him non-intrusive, and very, very, cooperative in all respects. I gave back my love and respect for him in equal measure. Dr. returned to Al Muwayh in the first week of September. After this, I left for a brief holiday in the second week, reaching Jeddah to attend a MRCPCH training program under the aegis of the kind staff of the King Abdulaziz University Hospital's Clinical Skills center (CSC), and the supervision and guidance of a team of doctors led by Dr. Mohammad Jawwad, FRCPCH. The course ran for four days, from the 11th of September until today evening. I stayed in the Al Naseem area, from where the University was less than 10 minutes away by road. 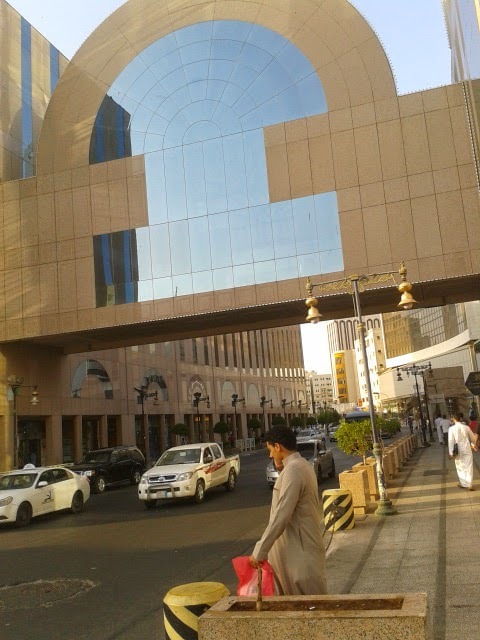 Earlier, I had come to Jeddah for a few days to appear for the Dubai Health Authority exams - an exam that I passed! In the interim, I also received an offer of employment from a UAE based hospital group. Thus, it appears that my dream of shifting to the UAE may turn out to be real! In India, my family patiently went through their hectic lives as my home's living room and the kids' room was thoroughly renovated. As I write this, I was informed by my daughter that the renovation work has just got over and my house now wears a fresh look. There are so many more things to share, but I shall return again tomorrow with the next installment. Until then, good bye!